Chapter 3: Surviving the Noise. What's That? I can't Hear You? Noise. It's an inevitable byproduct of tearing down and building back up. Here are some tips on living with noise that your family, and your neighbors, will really appreciate. HERE ARE SOME TIPS ON LIVING WITH NOISE THAT YOUR FAMILY, AND YOUR NEIGHBORS, WILL REALLY APPRECIATE! Keep your neighbors in mind. This simple tip will save you countless headaches and many dirty looks when you go out to take your recycling bin to the curb each Wednesday. Living with noise. Some communities have laws on the books as to how early in the morning construction can commence. Keeping the same schedule as your contractor will help ensure that you are not awakened by the sound of heavy machinery. Of course, in the best case scenario you would have an alternate place to live while heavy construction is going on. But if you don't have a family member who will take you in, the next best thing is to purchase a bulk supply of those 29-cent earplugs in a variety of colors. They can be a lifesaver. Working with noise. If you think living in a construction zone is difficult, try carrying on regular business operations. Ouch. Problem is, more and more people are working at home these days. To handle this momentary problem with grace and a minimum of snapped number two pencils, move your workspace - to the other end of the house if possible. A spare bedroom or walk-in closet could provide just the right amount of sound dampening to keep you sane and productive. 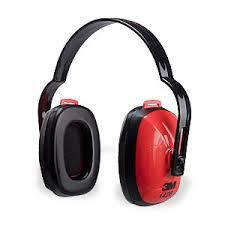 Another option is to use noise-cancellation technology. Today, several manufacturers offer headphones and telephone headsets that cancel virtually any extraneous noise and provide you with nothing but quiet or calming music. People who work in open office spaces swear by them. Which sure beats swearing under your breath at the guys pounding on your roof.